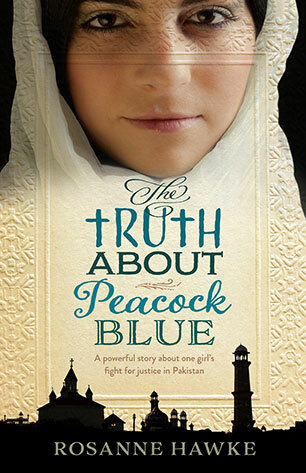 A powerful story about one girl’s fight for justice in Pakistan. Everything changes for Aster the night her brother dies. Suddenly she’s the only hope of the family, and instead of an early marriage to a boy from her small village in Pakistan, her parents decide to send her to the government high school in her brother’s place. Aster is excited about this unexpected opportunity for a career, but, as a Christian, she is unprepared her for the difficulties of attending a Muslim school: her fellow students are far from welcoming and one of her teachers takes an instant dislike to her. One day, she is accused of intentionally making a spelling mistake to insult the holy prophet. Her teacher is incensed and accuses her of blasphemy. A violent crowd forms outside the school and Aster is taken to jail to be tried at a later date. A young social justice lawyer takes up her case, and Aster’s Australian cousin, Maryam, starts an online campaign to free Aster. But will it be enough to save her?